What is Bazodee? Who are they? What's their mission? One thing is for sure: we love Barbados! 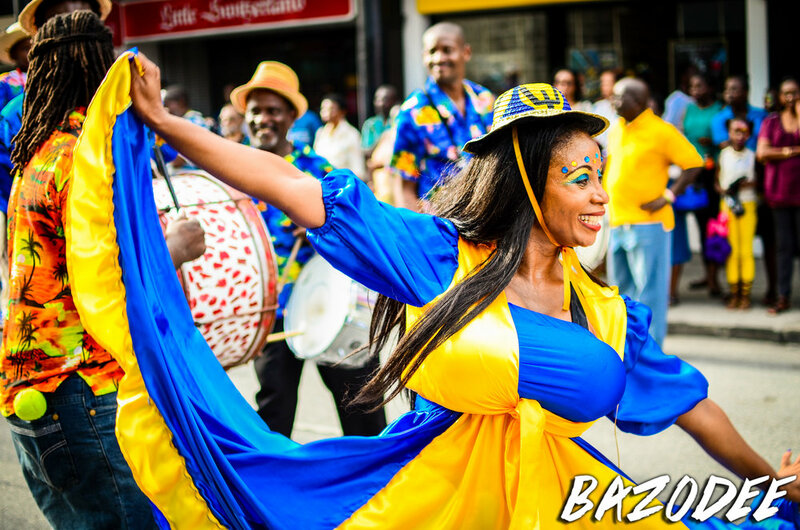 Bazodee is a 100% Barbadian publication that looks to promote not only Crop Over, but Barbados and Barbadian culture to the world. We started in March 2015 with the aim to be a guide to the Sweetest Summer Festival, making sure our followers were immersed in all the happenings of Crop Over. Our first print issue launched in July 2015 and since then we've been providing our readers and followers with all the insights they need into the Crop Over festival. We are the festival-specific guide and Barbados' only Crop Over magazine. Join us as we provide you with all information about the ins, outs and roundabouts of the Sweetest Summer Festival. Whether you're a Crop Over Virgin, Carnival Chaser or a seasoned Feteran, we've got you covered! Join us and let us take you through the right paths to have the best festival experience, piloting you through the festival to the sweet bliss of Kadooment Day. Bazodee is your number one Crop Over Authority and your guide to the unique culture and heritage of the beautiful island of Barbados. We love Crop Over and we love Barbados and we want you to enjoy it as much as we do!